“Don’t Look”, 12 in. x 9 in. oil on panel. 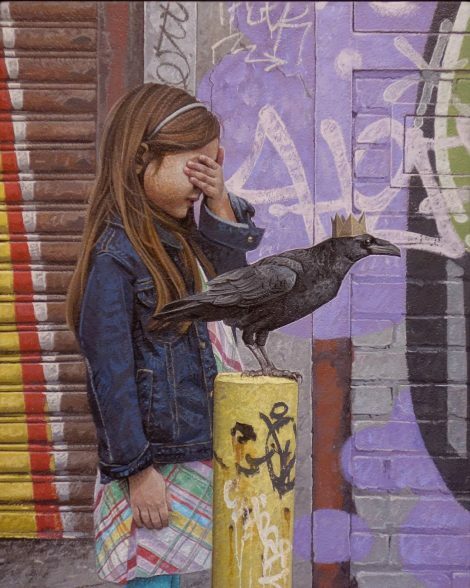 Artist Kevin Peterson has announced he is auctioning off a brand new original, “Don’t Look” on eBay with 100% of the proceeds being donated. Half of the proceeds will be going to the ACLU and the other half going to Beto O’Rourke, a Congressman from El Paso running to represent every Texan in the U.S. Senate. We love when artwork can go to a good cause, so kudos to Peterson for making an impact with his talent! The auction is now live on eBay and will end August 7th.